Earn an up-front fee plus a free product sample worth approximately $119 for promoting this brand. You'll also receive a free product sample worth approximately $119, and a personal discount code for your readers. As you promote campaigns and drive referrals, your Influence Score and pay rate will increase. Create a post about Shan Zu on your blog and promote this exclusive deal. Create a YouTube video about Shan Zu and promote this exclusive deal. Create an Instagram post about Shan Zu and promote this exclusive deal. Promote your blog post or YouTube video or Instagram post, or promote Shan Zu on two of your social channels. 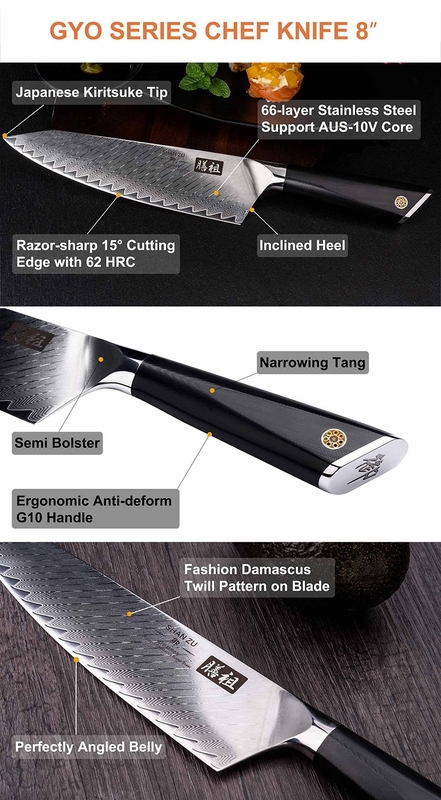 A knife brand based in Colorado USA, specializes in high-quality kitchen knives and tools. Our factory is based in Yangjiang China mainland. We provide influencer with a special coupon code, if someone buys a knife from us via the code, we give 10% of the selling price to influencers. Post requirements: Roundups allowed - Your blog post or YouTube video may mention or review Shan Zu alongside other brands (e.g. how-to, roundup, review of multiple products).